outdegree Personal website of Sebastian Krawczuk. 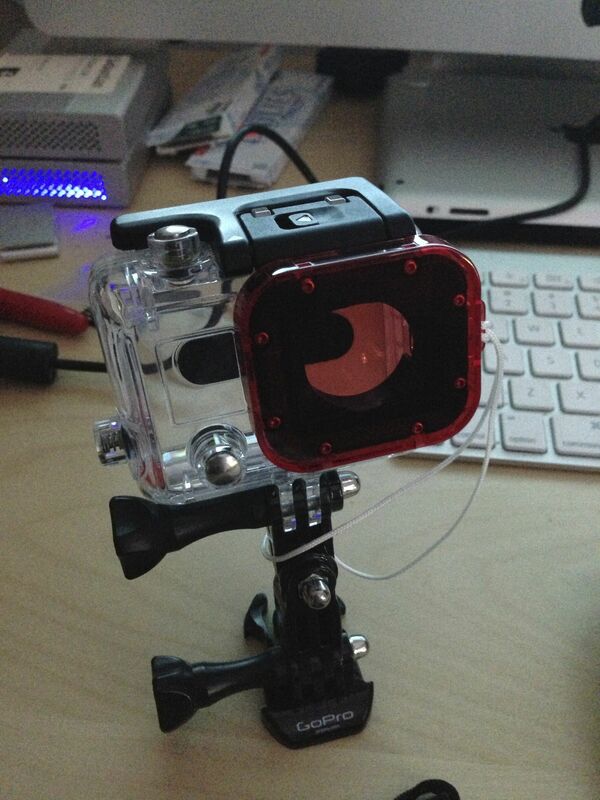 Well, I got one of these overpriced GoPro gadgets. My excuse was our daughter’s birth (brought it with me to the delivery room, ha!) but deep in my subconscious-male-mind were: motorcycling, kites, SUP, scuba and what else wild+exciting there is on this planet! Last weekend I took the GoPro first time underwater during my Monterey scuba trip (well, the GoPro was baptized with water well before during first baby bath). 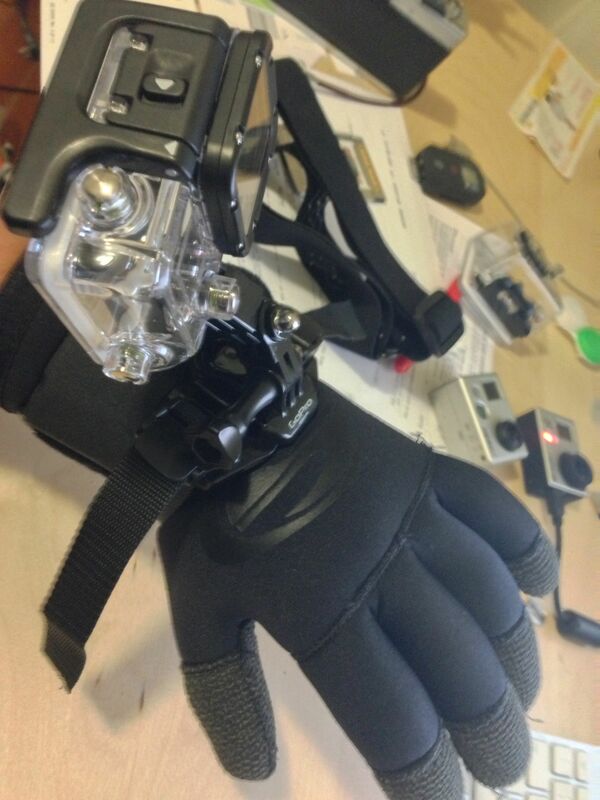 I also hacked the helmet mount into a wrist mount. Don’t forget to tether your camera! As a typical first-time-experience-experiment I decided to let the GoPro record things in its waterproof casing in “auto” mode and then take a deep dive, both literally and as a metaphor. How surprised I was later reviewing the footage at home. Seeing the color shifts (awful green) as different wavelengths of visible light spectrum get absorbed the deeper you go (staring with red). I did not realize how underwater photography and videography challenging is – Wikipedia, Underwater Photography. GoPro in “auto” mode constantly gets confused each time lighting or underwater visibility changes. This is quite common when diving in California. Color correcting and grading in post production was an absolute nightmare due to dynamic changes done by GoPro’s firmware. Additionally, at 45 feet red registered by GoPro’s sensor was just at noise level. Barely anything-red was left. In this first dive and video I did not do any color correction. I overcame GoPro’s “auto” balance mode by cutting the footage. In the second video I decided to play with color grading and white balance adjustment a bit with Final Cut Pro X. Since I have not taken a white card with me I used my buddy’s white tank as a white reference. The rest of the footage I simply color-matched with my master clip (FCPX feature) to not to waste too much time adjusting each clip. It is not ideal but much better than the first video. Get a red filter to preserve color information between 10-65 feet. 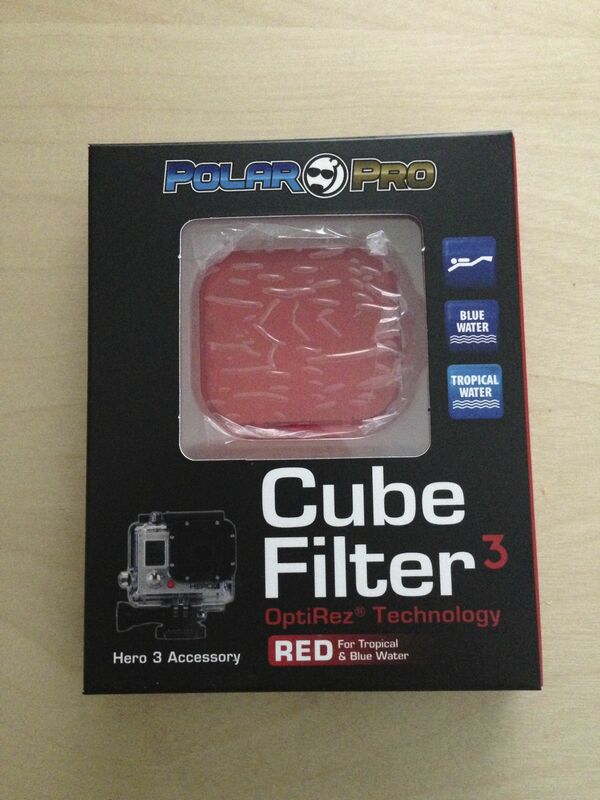 After reading the blog article, Arcuturs Productions – DIVING WITH THE GOPRO HERO3, I decided to get PolarPro Cube Red filter via amazon.com. Will test-ride it soon at my next dive at Point Lobos. Use Protune mode to lock white balance. Also each time you change depth significantly stick a white balance card in front of the camera for recalibration later in post-prod. Check out these fantastic free tutorials on color grading and correction in FCPX at Color Grading Central. This entry was posted on July 27, 2013 by outdegree. It was filed under photo and was tagged with fcpx, gopro, scuba, underwater.